Nissan confirmed the electric car battery sales business. Automotive Energy Supply Corporation (AESC) was first established by Nissan in 2007 has had difficulty competing with other battery suppliers, but the latest announcement says Nissan will revive. The auto maker giant headquartered in Yokohama will be looking for buyers to take AESC. Last year Nissan Motor Co., Ltd. held talks with Panasonic, but now they officially confirm the deal with GSR Capital is a private investment fund based in China to operate manufacturing and selling of batteries. The sale and purchase agreement covers Nissan's battery subsidiary, Automotive Energy Supply Corporation (AESC), as well as battery manufacturing operations in Smyrna, Tennessee, owned by Nissan North America Inc. (NNA), and in Sunderland, England, owned by Nissan Motor Manufacturing (U.K.) Ltd. (NMUK), include operations located in Oppama, Atsugi and Zama. "This is a win-win for AESC and Nissan. It enables AESC to utilize GSR's wide networks and proactive investment to expand its customer base and further increase its competitiveness. In turn, this will further enhance Nissan's EV competitiveness," said President and CEO Nissan, Hiroto Saikawa. AESC is jointly owned by NEC Corporation which approved the sale and Nissan received their share purchase before transferring it to GSR through the agreement. The company did not disclose the value of the transaction, but AESC was previously rumored to have a value of about US$1 billion. 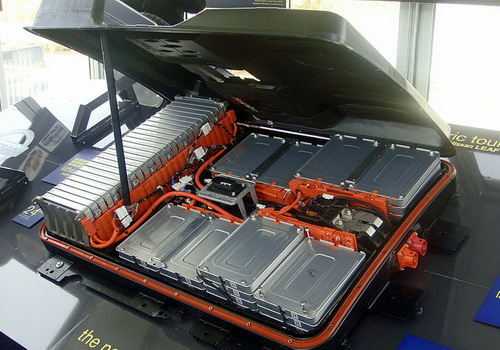 AESC is one of the second largest electric vehicle batteries after Panasonic is supplying Tesla batteries. Nissan is also rumored to be working with LG Chem for next-generation battery packs. Last year Nissan said the company had the best selection of battery cells for electric vehicles today. "The acquisition of AESC represents an important step for us in the new energy vehicle industry chain. We plan to further invest in R&D, expand existing production capacity in the U.S., UK and Japan, and also establish new facilities in China and Europe, enabling us to better serve customers around the world," said GSR Capital chief Sonny Wu. "With these capabilities and plans added to the battery business' already skilled workforce, high technical capabilities and proven product-quality track record, we will be in a very good position for growth," Wu said. Some car makers are investing in their own battery production to save volume and control costs, while others will partner with suppliers for the flexibility of choosing the best variety of technologies.